We are reckoned firms in the industry, engaged in manufacturing, supplying and exporting wide range of Guar Meals that are highly nutritive and valued for safe consumption. We deliver them as per the exact preferences. During the guar split manufacturing process, husk and germ are obtained. 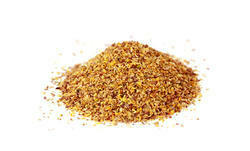 These are used as a valuable cattle feed as they are rich in protein. Guar Meal is a by-product after processing the Guar Meal. That is, Guar gum is extracted from the guar seed Cyamopsis Tetragonoloba of leguminous plant. 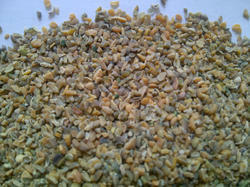 The extracted guar meal is further processed by toasting at a high temperature to remove Trypsin Inhibitor, thus improving its nutritive value. Guar Meal typically comes in different forms: a Guar Meal Churi, which is in powder form and Guar Meal Korma in granular form. Guar Meal is rich in proteins and carbohydrates, and is a 100 percent natural agricultural product without the addition of any chemicals or preservatives. Processed guar meal can be used either in conjunction with other feed stuffs or by itself, as it is a complete nutritional feed. Guar gum is applied for various food and other industrial uses as a Guar meal is a highest protein containing animal feed in its group. It is having up to 55 percent of protein [O+A] with a digesting content. The most important characteristic of Guar Kurma is its ability to be dispersed in water and hydrate or swell rapidly and almost completely in cold water to form viscous colloidal dispersions or sols. The viscosity attained is dependent on time, Temperature, concentration, pH, rate of agitation, and particle size of the powdered gum is used. The lower the temperature, the lower the rate at which viscosity increases, and the lower the final viscosity. Above 80c the final viscosity is slightly reduced. The finer guar powder swells more rapidly than coarse powdered gum. Being the reckoned names in the industry, we offer an extensive range of Guar Churi Powder that is acclaimed among the clients for optimum quality and long shelf life. It has high nutritive value and is easy to digest. It is free from added preservatives and is used in food industry. We offer them at most economical rates and deliver them in well-defined time. In order to cater diverse requirements of the clients, we offer a comprehensive range of Guar Gum Meal that is safe to consume and is an excellent binding agent. Owing to its exceptional features they are widely used in paper, pharmaceuticals, and oil and textile industries. We offer the entire product range with customized solutions and are available at most affordable rates. Our prestigious firm takes immense pride in introducing a nutritious and qualitative Guar Korma. 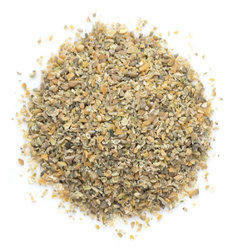 This powder is derived from guar seeds or cyamopsis tetragonoloba by following a strict and genuine process. 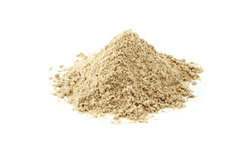 We offer our guar gum powder is whitish and yellowish colors that are known for its slight odor. This qualitative guar gum is cultivated effectively in sandy soils. Our firm boasts on cultivating Guar Seeds constituting approximately 80% of the over all production across the world. We are busy in manuacturing Guar Extract.